The Best Shark Dive in the World! : A Shark Cull in Reunion? 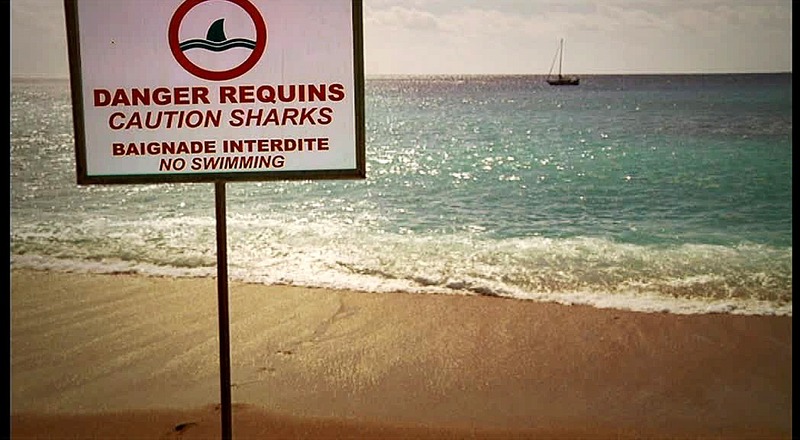 A Shark Cull in Reunion? I'm sure you've seen the news - if not, read this. Kelly Slater had an emotional outburst, and the usual dipshits with an opinion and a keyboard have gone ballistic as they always do. A prominent researcher writes - and no, no names but you'd be gobsmacked if I told you who she is! This week Kelly Slater (surfer) posted on instagram that he thinks Reunion should implement a cull so that it is safe to go in the water again. As expected, he took some heavy hits from a lot of people for saying that. And then this article comes out. I'm starting to get a bit cranky on how "science" is used to beat down anyone that suggests a shark cull. Over and over "experts" and "science" are cited to drive home the argument that culls don't work...scientists have proven them not to work. No one has ever done a controlled study to determine if culls work/don't work. And even if they did, each species and location are different. And then you have the hypocrisy of the shark conservation community always screaming about the 100-200 million sharks killed per year and that they are all going to die (and the oceans are going to die and we will die). If it is impossible for culling (fishing) to decrease shark attacks, then how is it possible for overfishing to bring down shark populations? It's very easy for people who don't live in an area with shark problems, or don't ever go into the ocean, to scream and yell that sharks live in the ocean and it is not "our" place to attempt to manage them. Of course they are typing this from a comfortable human dwelling that required the killing of a terrestrial community that lived where their house now sits! Don't get me wrong, I'm not advocating managers to start putting culls in their toolbox...I just don't like the misleading rhetoric. At a place like Reunion, I think it is none of my business if the local authorities decided to try to reduce the bull shark population. It is their economy and quality of life that is suffering, not mine. It's their decision. And...if they decided to do it, I personally believe it would work. I almost wrote a piece about this, but thought maybe venting here first will keep me from committing professional suicide! Bingo - totally agree, see here and generally, here! 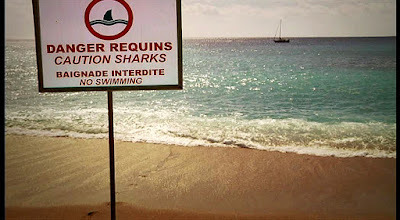 The good news being that Reunion Island's Shark attack mitigation measures appear to be holding (= the attack happened on a closed beach) and that the authorities are not advocating any cull - for now! Anyway, this is not what riles me. What does, is that like the lady above, an increasing number of researchers are voluntarily muzzling themselves for fear of incurring the wrath of the wailing Shark conservation hyenas. This is especially evident in Australia where those Shark attacks are happening at the intersection of there being ever more aquatic recreationists but also more large GWS due to the successful protection of both the Sharks and their prey. Same-same for the US East Coast where IMO a fatal attack is all-but-inevitable - yet in both locations, the GWS researchers are treading very lightly indeed, lest the unwashed masses accuse them of being Shark haters, or whatever. I say, this is not going away but will escalate instead. And unless we allow the researchers to do their job and analyze, and then properly describe ALL aspects of the problem and explore ALL possible solutions, the strikes will continue to happen - and if so, the culling will eventually resume everywhere. PS - not bad at all! Florida - targeting protected Species? Florida: more dead Great Hammerheads! No more Galapusky - Paper! Florida - GHH vs Blacktips! BRAT - not a Brat anymore! Nassau Grouper Spawning Aggregation - 360 Video! Reefies and SCUBA Divers - Paper! Are we killing them with Kindness?